The Austin Princess wedding car on your wedding day. Imagine that. 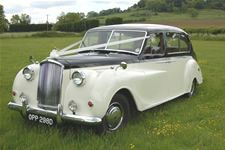 A luxury, vintage chauffeur driven wedding car complete with car ribbons that match your wedding colours. 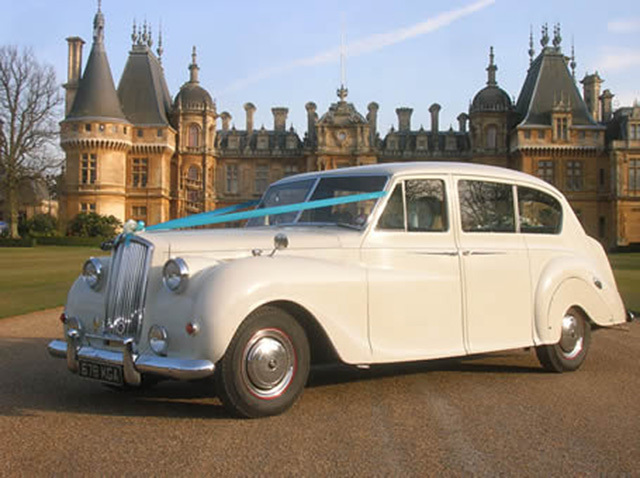 An Austin Princess wedding car chauffeur driven on your special day is the perfect choice. Princess Limousines were coach built by Vanden Plas and often used by royalty, heads of state and VIPs. These beautiful cars are a superb choice for that special touch on your wedding day. 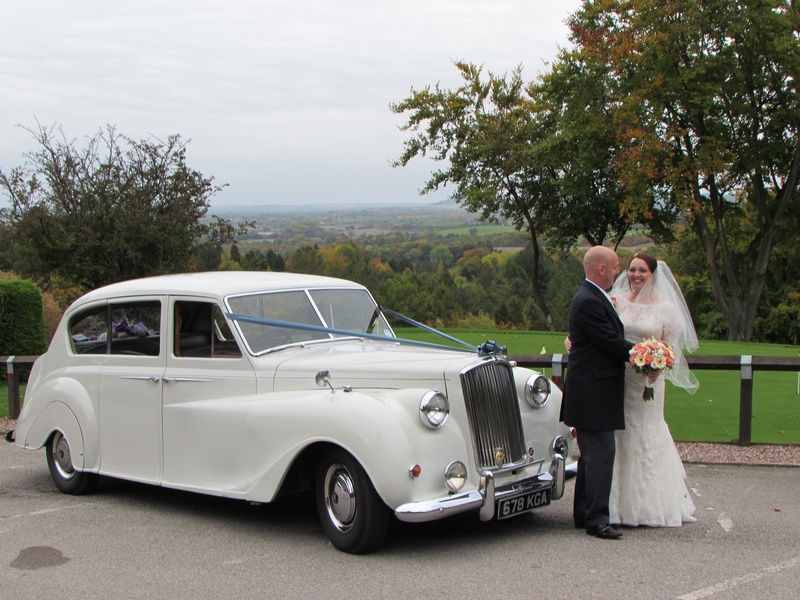 The Austin Princess wedding car is ideal as your bridal car or as a second car, paired with another Austin Princess for the bridesmaids or maybe a Rolls Royce or perhaps a luxurious white Aston Martin as a treat for the groom! The Austin Princess wedding car is a beautiful way for the bride and her bridesmaids to travel to the ceremony. 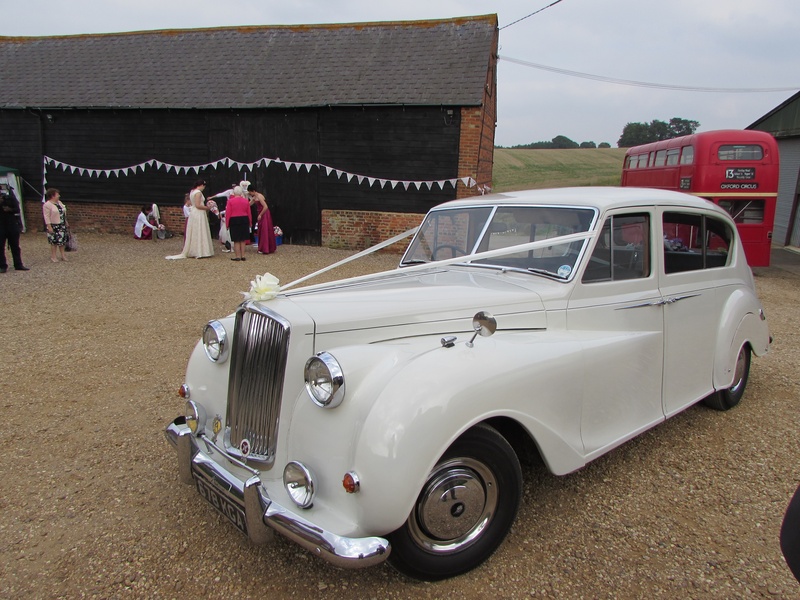 The Austin Princess wedding car has the flexibility of doing a couple of trips to the ceremony if the distance is very short. The gorgeous wedding cars are available in 4 different colours for you to choose from: White, Ivory, Black over Ivory and two-tone Silver. Our Austin Princess 7 Seater Limousines are available for hire in Milton Keynes, Bedford, Northampton as well as across surrounding areas in Buckinghamshire, Bedfordshire, Northamptonshire and Hertfordshire. You need look no further for your perfect wedding day cars. 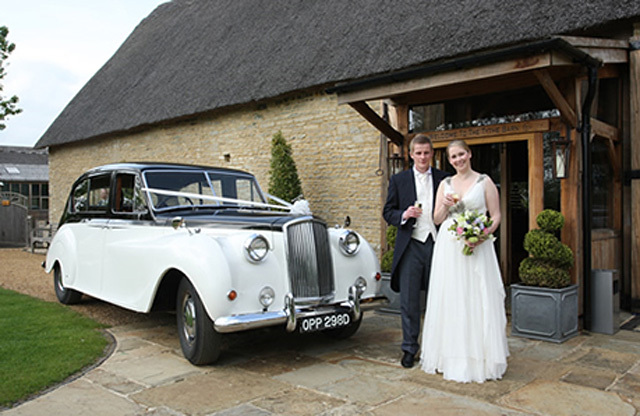 Let Special Day Cars help you to make your special day perfect with our beautiful Austin Princess wedding cars. 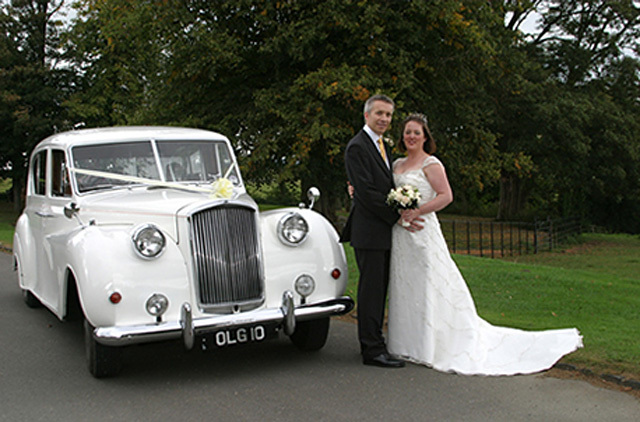 The perfect choice for your wedding car hire. We’re taking bookings now for 2017 and well into 2018 and the Austin Princess wedding car is a very popular choice in our range. email contact@specialdaycars.com or ping us a Facebook message! We’d be delighted to put together a quote or answer any questions you may have.